mha were commissioned in 2008 to provide initial feasibility studies reviewing various potential suitable sites in Pomeroy for the new community centre. Upon completion of this appraisal process it was agreed that a site on the periphery of an existing forestry site was the best option to further develop. 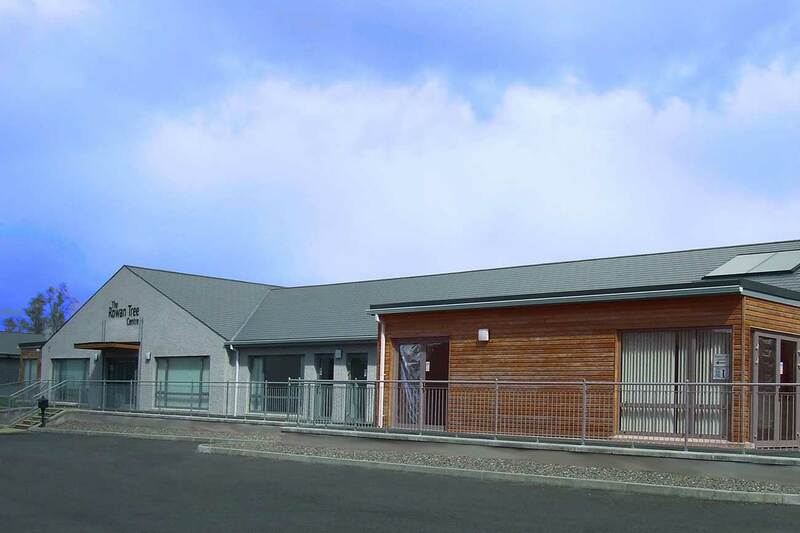 The aims of the client’s brief were to provide a facility which would improve the health and social wellbeing of local people through providing shared meeting spaces and contemporary conference facilities as well as opportunities for training and employment, increasing social interaction, personal development and employment whilst reducing social and rural isolation. Another ambition was to provide a range of affordable units of various sizes for business start ups/expansions. It was these objectives which informed the overall plan configuration for the complex which was based on a ‘courtyard’ configuration. The 6no. industrial/workshop buildings and an amenity building formed the boundary perimeter and created a vibrant central square which allowed for greater social interaction and a venue for special events.